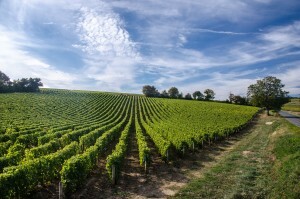 Charlie Southall is a successful film director, who, having travelled the globe in the course of his job, has acquired not just a taste for wines from around the world, but a really rather sizeable collection. 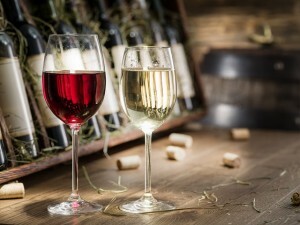 It got to the point that having sent so many cases of wine back from his travels, Charlie had run out of storage space and was stacking them in every available nook and cranny in his house. 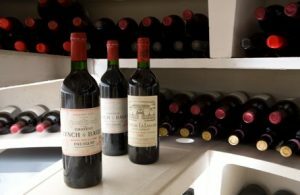 With storage space having run out and no area that be converted into a dedicated wine room, Charlie could either get rid of some of the wine (unthinkable!) 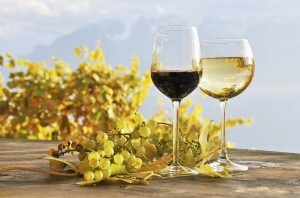 or move to a new house to accommodate his passion – an expensive undertaking. 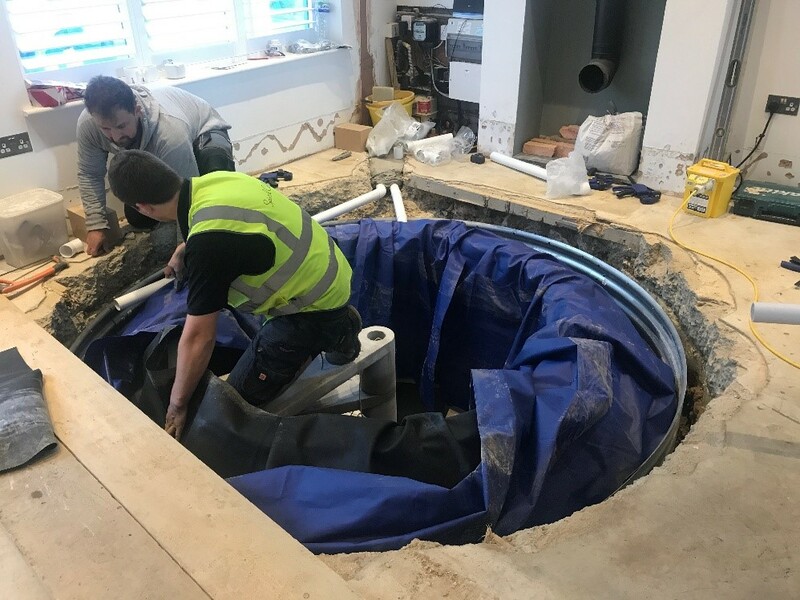 Whilst Charlie knew about Spiral Cellars, he never considered one as a solution to his storage issue, assuming they were only appropriate if being installed as part of a larger construction project. 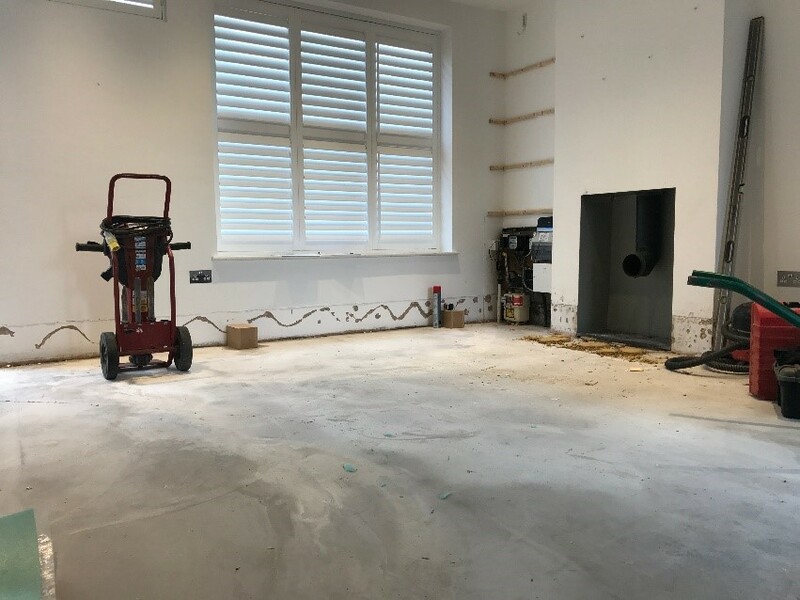 The client has chosen to install the cellar in their open plan kitchen diner – the space is cleared and ready to go. Door frames are wrapped with foam padding and any furniture, lighting etc is fully protected in plastic before work commences. There is minimum disruption when installing a Spiral Cellar. The team excavates a hole in the room, two to three meters deep. They do so by hand which keeps noisy machinery off site – and the neighbours happy. 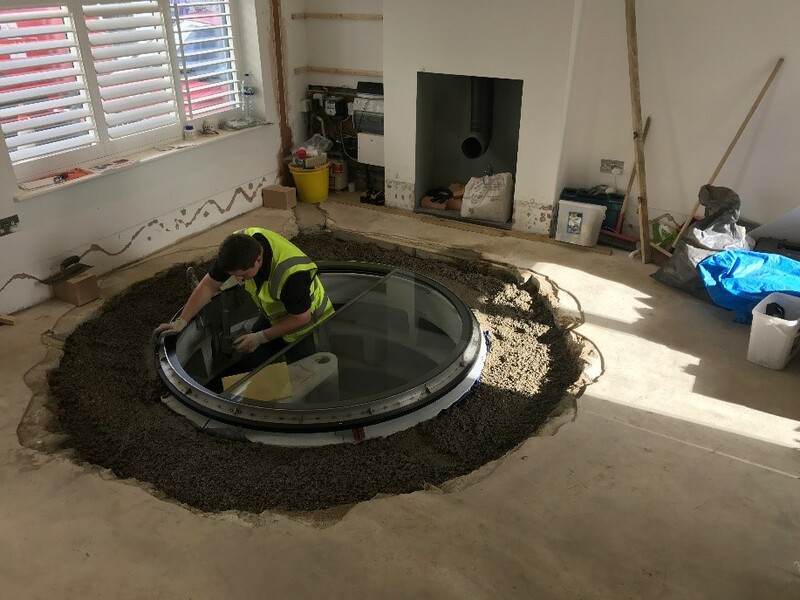 When the hole is complete, it is fitted with steel shuttering rings to give the cellar structure. In turn, the ring is then lined with a robust waterproof liner. 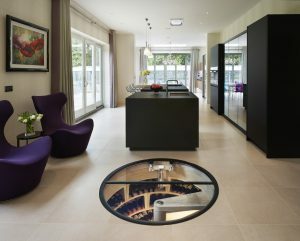 The cellar construction is then completed using Spiral Cellars’ uniquely designed modular system of interlocking concrete bins and steps. Additional items such as stair treads and LED packages are fitted to enhance the design and make the cellar a stunning feature in the room. 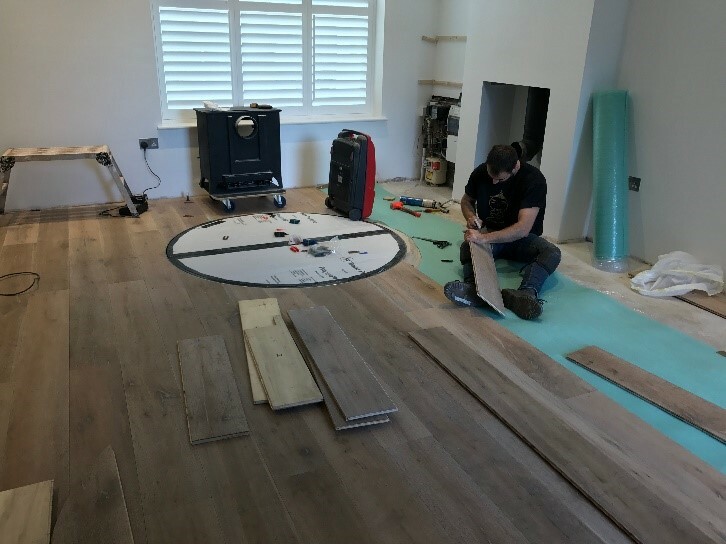 The door is then carefully fitted and protected while the floor in the room is carefully re-laid and finished around the Spiral Cellar. 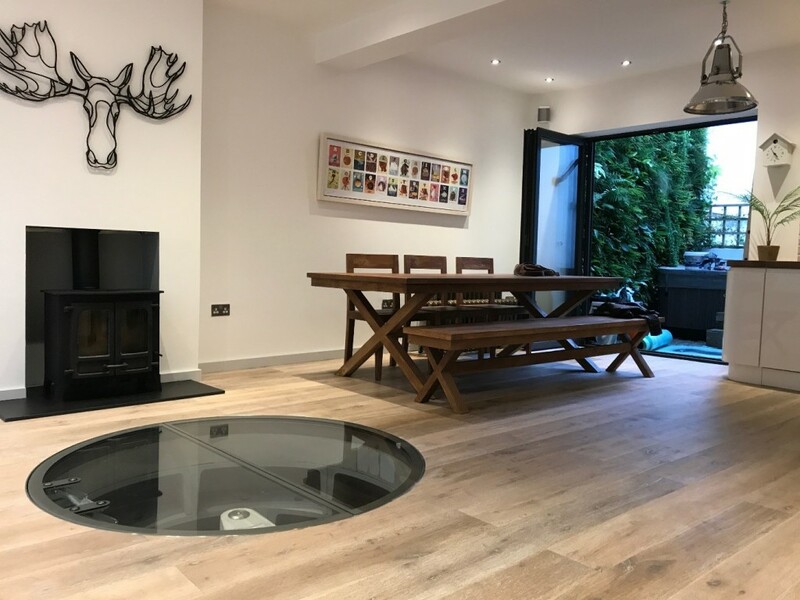 Here the client has chosen a hinged round glass door. With the installation complete, the cellar is ready to be filled with wine and enjoyed. 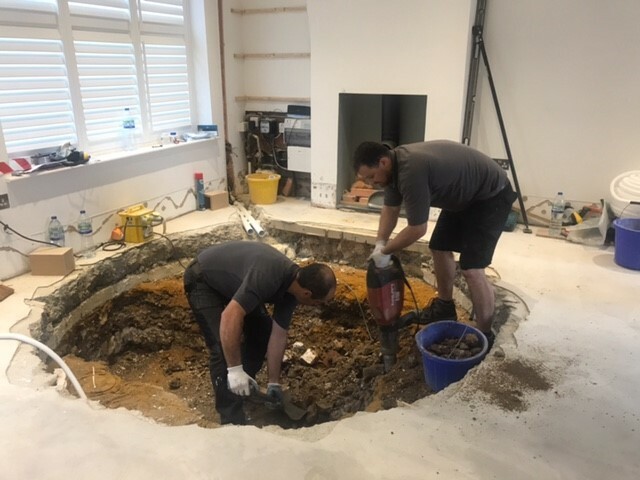 For further information on Spiral Cellars products and services, please contact our Customer Adviser team on 0203 815 3329 or via info@spiralcellars.com.